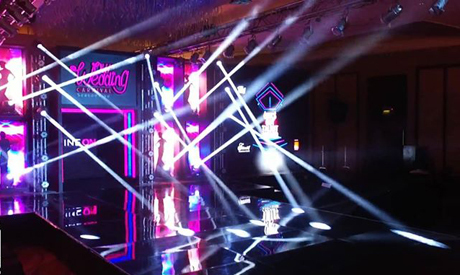 Egypt's biggest annual wedding-industry event will open on Friday, bringing together specialists in wedding planning, fashion and associated services for a two-day trade show with a carnival atmosphere. The 6th Our Wedding Carnival (OWC), organized by marketing company Red Square, is billed as the ultimate destination for the full range of wedding products and services under one roof. For the past five years, OWC has featured designer fashion shows, along with live hair-styling and make-up events. Models show off the latest in stylish design for both bride and groom, with some top brands on display. More than 150 sponsors and exhibitors participated in last year's event, which attracted by almost 5,000 visitors over two days. This year's OWC will take place on 16 and 17 of March at the Royal Maxim Palace Kempenski, one of Cairo's top luxury hotels. The two-day event will incorporate a fireworks display, while actresses Dalia El-Behery and Ola Roshdy will do the hosting. There will also be a range of events featuring services that go beyond the scope of traditional wedding preparations, such as life-coaching sessions, offering advice in dieting, fitness relationships and parenting.